Information technology is one of the major reasons behind economic growth of our country. Along with it, it has empowered the growth of other sectors with its services. IT industry has digitized almost all other sectors from banking and engineering sectors to medical and sales. IT services has become inevitable for common man to researchers in one or other form. Such a demanding sector is handling a great volume of job, along with voluminous workstations and employees is no wonder. This is incrementing every year. Employees of IT industry should be innovative in developing ideas, think through its feasibility, work out a project plan and deliver the products to clients on time. The quality of work should be uncompromised as the products will have impact on their client’s business too. This requires lots of meticulous working. So it is very important for any IT company to provide a perfect ground for its employees to work effectively. A sound environment makes sound employees. •Environment – Working in a relaxed and friendly environment catalysts the work productivity and provide higher job satisfaction of employees. 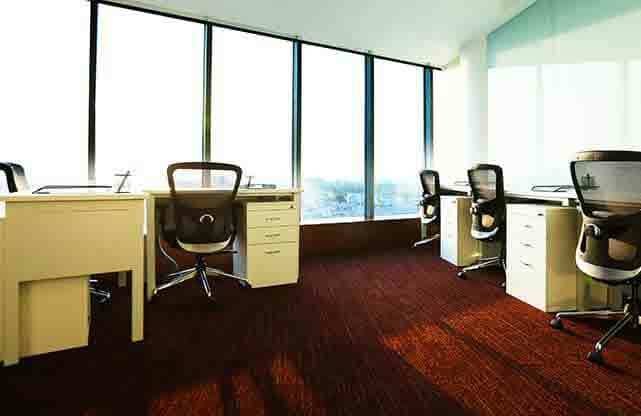 It includes well equipped and spacious desks to work, pantry and play areas to refresh, break-out areas to relax. IT support to ensure technical facilities are up to date and provided without any hindrances. Business centres create and provide such office environments to their tenants. All these are available for 24/7, which allows employees to work in any shifts or any time zones. This is crucial for IT companies who have clients all round the globe. Surveys prove such work environment improves work efficiency of employees. 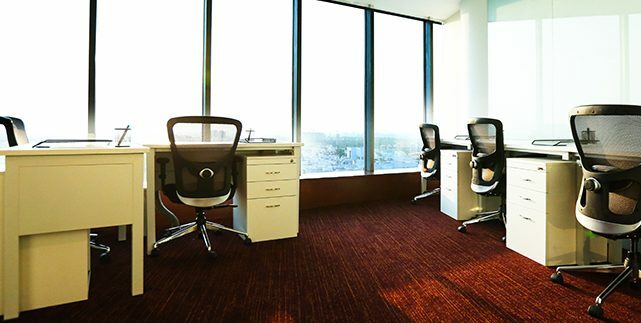 •Location – Office location and its accessibility plays a key role in easing the day to day activities of office functioning. Either at city centres or in outskirts, business centres are there to provide fully serviced office spaces. •Flexibility – Business centres are tailored with flexible layouts to suit various business types. Either it is for hours or years, for team of tens or hundreds, private office spaces or managers cabin business centres have solutions for all business and spacing requirements. Scaling up or down is a cake walk in business centres. •Services – Business centres offer end to end services such as access restrictions at gates, parking, 24/7 security and maintenance, air conditioning, housekeeping. There are dedicated conference rooms, documentation area, Fax/Xerox/Printing machines, and reception desk. There will not be surge in energy or budget when all these amenities are well maintained and upgraded regularly by business centres. From start-ups to Fortune 500 companies look for business centres who offer office spaces with all these amenities. Overheads are overruled. •Customization – Work spaces, access controls, work stations, networking, and telecom facilities can be customized according to project requirements. •Connectivity – There are lot of opportunities in business centres to meet and mingle with like minded people who may enhance or compliment your business. Potential clients can be met in such environments. This may happen over a coffee meet, in lobbies or in common lounge. •Built-to-suit – Setting up a company, expanding your office space for adhoc project requirement, planned to have a change or improvement in work environment, yes business centres will suit all these requirements. No direct administrative works, no installations. Come in and start working. •Affordability – Business centres offer fully serviced and managed work space with international standards at very affordable rates. A penny saved is a penny earned. Make a smart choice when it comes to the quality and quantity of the money spent in business. There is rising demand for such business centres from domestic and international companies as they provide handy, long-term or short-term customised solutions without big financial investments. Flexibility, high end amenities with zero down time and work friendly environment has turned the preferences of both employers and employees towards business centres. Where we work is very important as it has an impact on how we work.